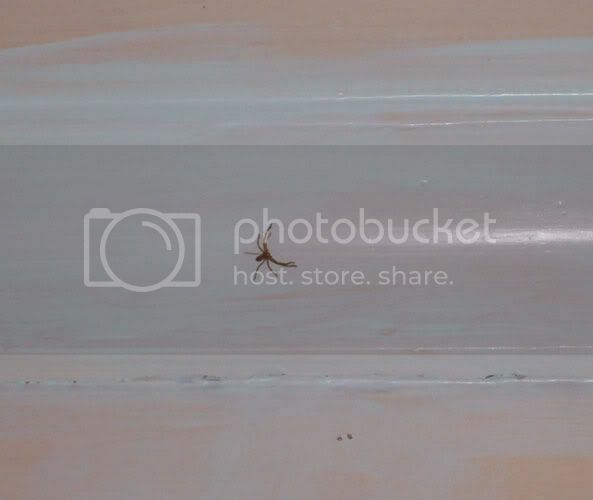 Here you can see him on the cornice. and here's a close up. We're having a new kitchen put in next week, so I may have to move him. Don't wan't the workmen squishing him by accident! 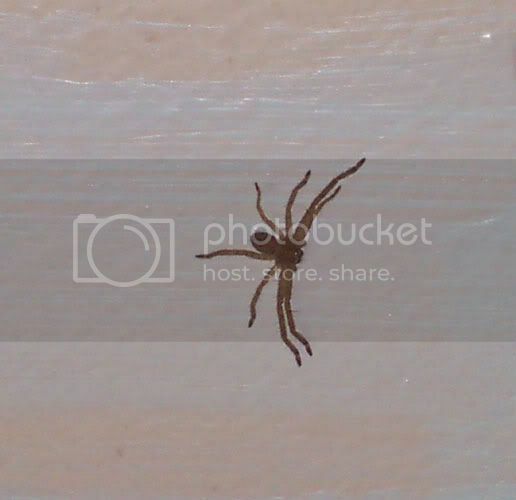 I actually have 2 spiders in my computer room at the moment, but I think they're the brown house spider variety. But they're excellent in killing the midges that we have round here! Which is excellent because we had a lot! And the bites were terrible..
Kirsty, how do you make your journal do that lovely 'disolve' thing? This page was loaded Apr 21st 2019, 5:09 am GMT.